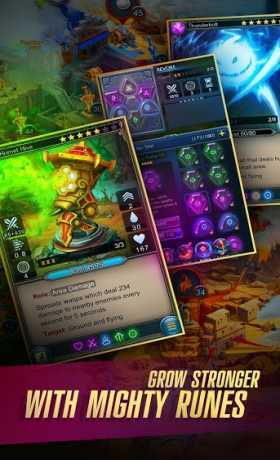 Meet the latest game in the legendary Prime Word: Defenders series, a unique combination of the Tower Defense and Collectible Card Game genres with more than 5 million players around the globe! Enter a mysterious land stricken by a vast cataclysm and now thriving with powerful artifacts and immense treasures guarded by furious monsters. Build up your defenses and brace for the assault! 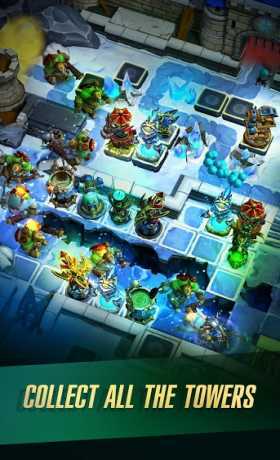 – Collect all 40 unique towers and 20 deadly spells! – Customize your collection with Runes to create the ultimate defense! – Use them to crush Underground, Intelligent, Swarming, Exploding, Phantom, Corpse-eating, and 20 other monster types and 29 unique bosses! 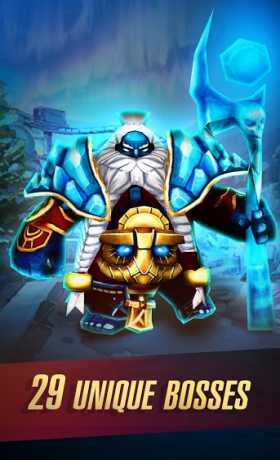 – Fight with other players to pump up your towers into monster-slaughtering war machines! – Used to good weather? Well then, can your defenses survive night levels, tornadoes, and storms?! Awesome 3D graphics, immersive environments, Totems, Anomalies, Hunts, Raids, Assaults, and the rule-them-all Hard Mode button! Try the game now and join the struggle for Prime!